COMPLETE project attended the 11th Steering Committee meeting of EUSBSR PA Ship, hosted by the Finnish Transport Safety Agency on 27-28 November in Helsinki. Project presented its progress and plans as a flagship project to the Steering Committee. Meeting documents can be found at PA Ship homepage. 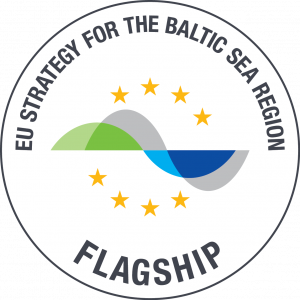 The EU project COMPLETE (Completing management options in the Baltic Sea Region to reduce risk of invasive alien species introduction by shipping) gained flagship project status from the EU Strategy for the Baltic Sea Region (EUSBSR) on 26th of September 2018. 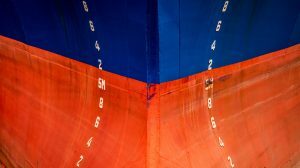 This demonstrates the high political relevance of ships’ ballast water and hull fouling management to reduce the risk of introduction of harmful aquatic organisms and pathogens. The project’s aim to minimize this risk by the development of user-friendly tools and management options is recognized as essential. The flagship status supports conveying the relevant results and recommendations of the COMPLETE project to the policy level and contributes to ensuring that the project results are used in practice. 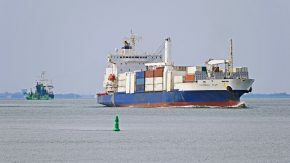 The COMPLETE project develops consistent and adaptive management options for the Baltic Sea Region addressing both major vectors for invasive species introductions: ballast water and biofouling. The project is tackling several gaps in current knowledge and proposing both operational frameworks and user-friendly tools for the management of these two vectors. The COMPLETE project aims at developing a roadmap for a regionally harmonized biofouling management strategy by involving all relevant stakeholders in all phases of this process. 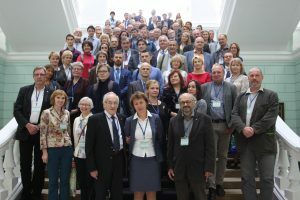 COMPLETE partners from Estonia, Finland, Germany, Latvia, Lithuania, Poland and Sweden are working together with 23 associated organizations from all Baltic Sea states. These organizations include research organizations, maritime and environmental ministries, their agencies, relevant private companies (e.g. shipping companies, shipowners, port authorities) and NGOs. Project can also be followed in twitter and ResearchGate. The Kotka Maritime Research Centre is undertaking an evaluation of its research activities. The aim is to identify achievements and future priorities. In addition to scientific work, the evaluation covers societal interaction, which constitutes one of the Centre’s central priorities. – Universities constantly undergo such evaluations, but this marks the first time a comprehensive evaluation is undertaken of scientific work at the Kotka Maritime Research Centre, explains Aalto University Professor Pentti Kujala. In the context of the evaluation, experts will be hired both from Finland and abroad, marking a significant step in the process of developing the Kotka Maritime Research Centre. The evaluation is slated to begin in autumn 2018. 5-9 March 2018, Madeira, Portugal: COMPLETE partners participated in the ICES Working Group on Ballast and Other Ship Vectors (WGBOSV) and ICES/IOC/IMO Working Group on Introduction and Transfer of Marine Organisms (WGITMO) and presented and discussed the project at international expert level. The expert group reports can be found here: WGBOSV and WGITMO. 16-17 November 2017, Helsinki, Finland: Tasks and activities of COMPLETE were discussed in the light of the information needed by TG Ballast for the ongoing amendment of the HELCOM/OSPAR Joint Harmonized procedure on granting exemptions from ballast water treatment provisions of the 2004 International Convention for the Control and Management of Ships’ Ballast Water and Sediments (BWM Convention) of the International Maritime Organization (IMO). (https://bit.ly/2Mnq1Xn; https://bit.ly/2l7Pdos). 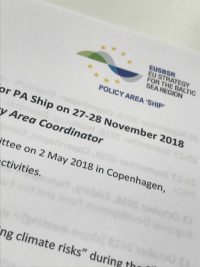 COMPLETE project was introduced to the 9th international Steering Committee meeting of PA Ship on 7 November 2017 in Gdansk, Poland (https://bit.ly/2JKVocL).